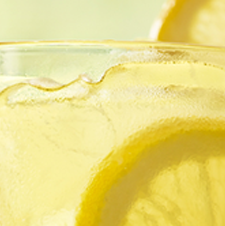 Two 13-year-olds in California were selling lemonade on Wednesday at $1 a glass. A man walked by and said he dropped his dollar on his run, and they gave him a free cup. He walked away, and then sprinted back, toppled over the stand, and grabbed the turquoise box containing their profits — $20 — and a wallet with $10 inside. The police quickly tracked down an 18-year-old suspect. The girls told an NBC affiliate in Los Angeles that their fledgling business would remain shuttered for now.